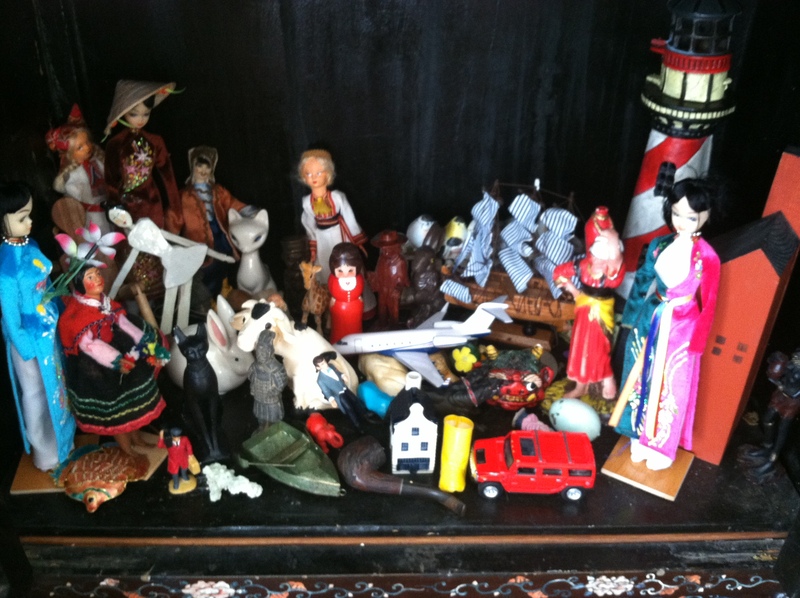 In my house there is an old Chinese cabinet, full of little figurines on two shelves. They are for my daughter, to tell stories. We have told hours and hours or stories using these figures. There are all kinds of people, children and adults, and all kinds of animals — elephants, tigers, snakes. There are trees and cars and boats. There is an airplane. An angel, a devil, a vicious dog, a knight. They were mostly acquired at flea markets and yard sales. I am looking for more natural land features — mountains, lakes, volcanoes. Other house-like things, such as chairs and ladders and things. Dollhouse furniture is too expensive and too small, so I think I will have to make some of them. We have exactly the same thing in our house. Natural features are hard to find, but good buildings are easy (look for tourist metal souvenir buildings). I also recommend a chest full of costume parts (capes, wristbands, masks, hats, etc). 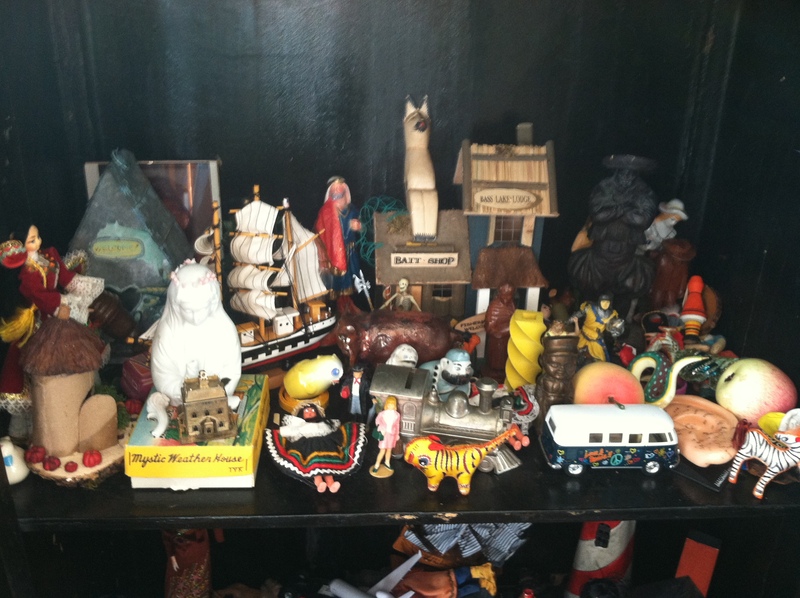 Our cabinet of curiosities and costume chest are my kids’ favorite escape. Mine too. You are so right regarding the prices of the dollhouse.